Our full Builder’s Set of drawings. 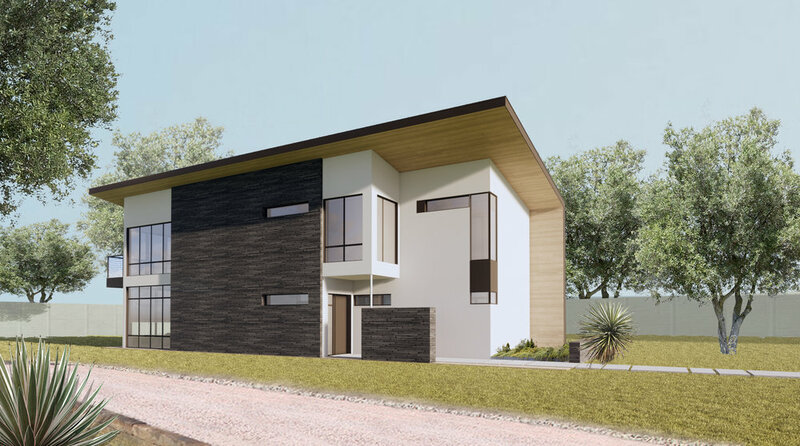 The SHELLTER house is designed to protect its inhabitants from the harsher aspects of nature while also allowing visual and direct connections to the more desirable parts of nature, including daylight and breezes. To shelter is to shield or provide protection from weather, and a shell is a protective outer case - thus the SHELLTER house is the physical embodiment of these two things. The shed roof, or single-sloped roof, has a long history in proper architectural history as well as in vernacular settlements. The shed roof made a resurgence in Mid-Century Architecture, as a way to provide a slope to shed rainwater and also allow for vaulted ceilings in single-story structures. The SHELLTER house is defined by an updated version of the shed roof, folded down to seamlessly integrate with a long 2-story planar wall, forming a figural and literal shell. 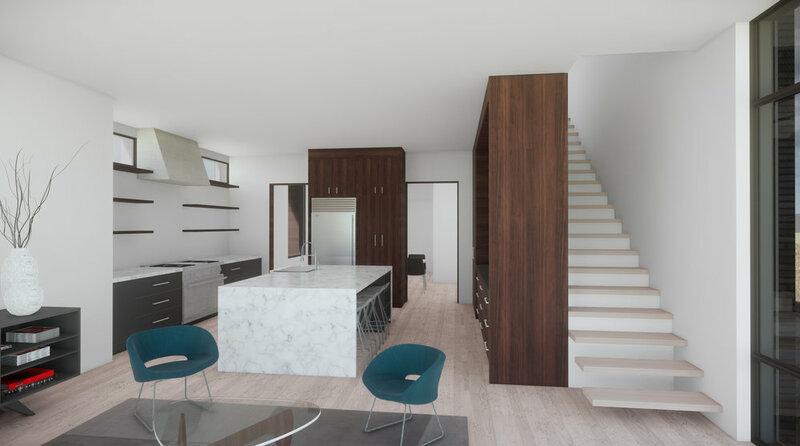 The scheme provides a fluid layout for the common areas (kitchen, living, dining) and a guest bedroom on the lower level, while the three primary bedrooms, including the master, are strategically placed on the upper floor to optimize views and daylight.